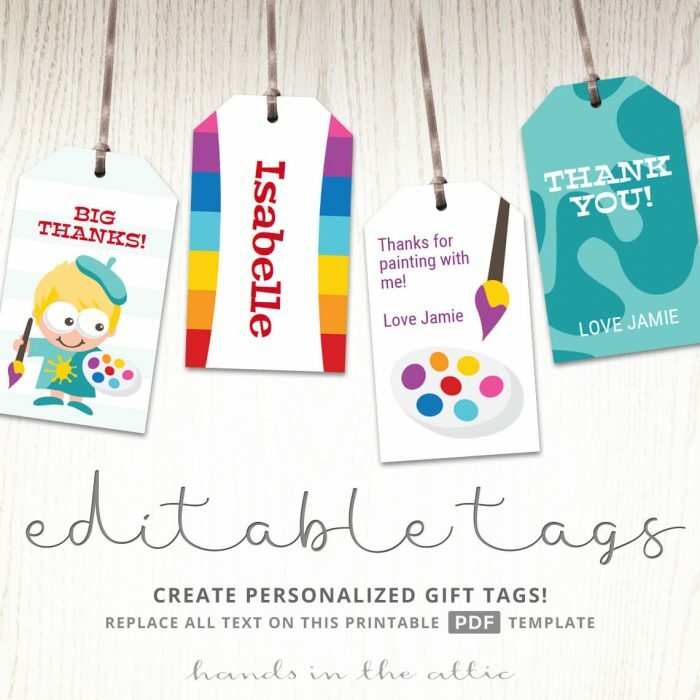 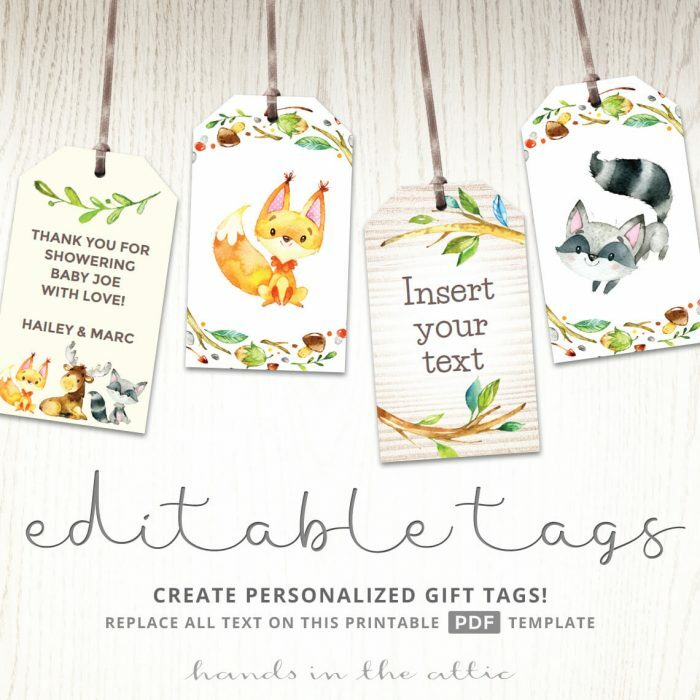 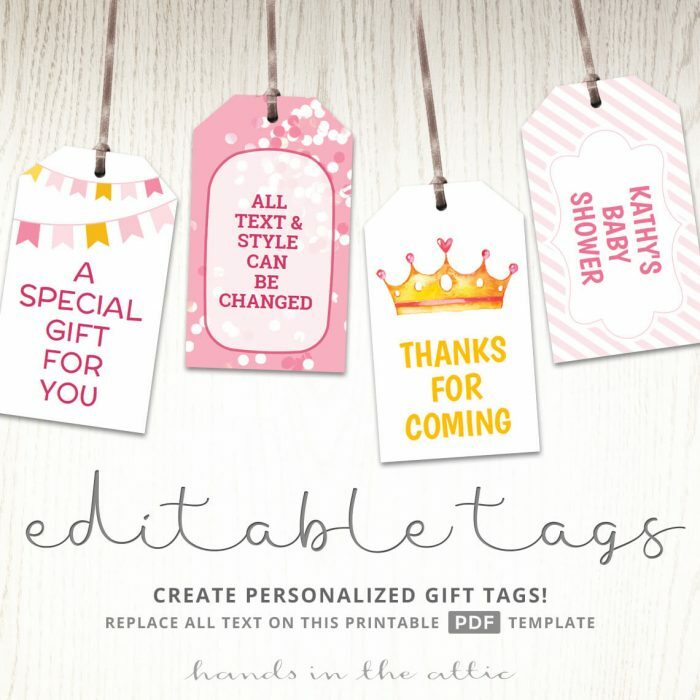 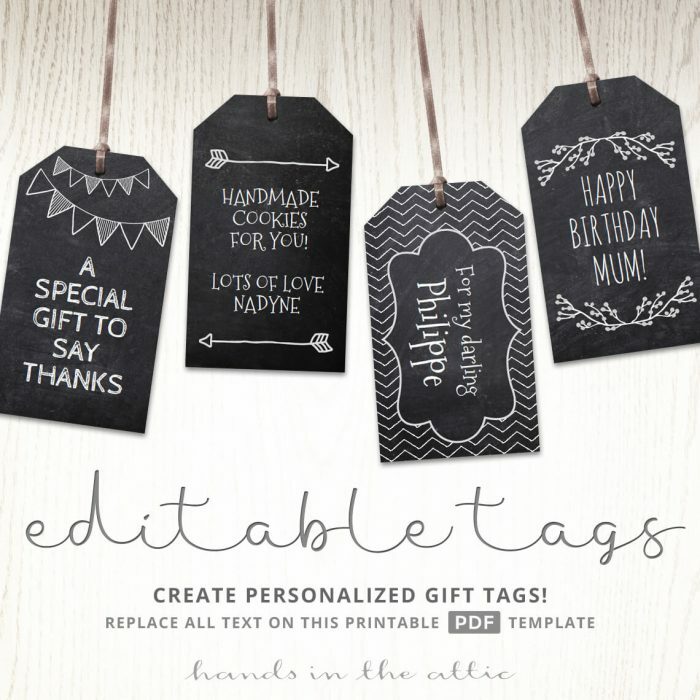 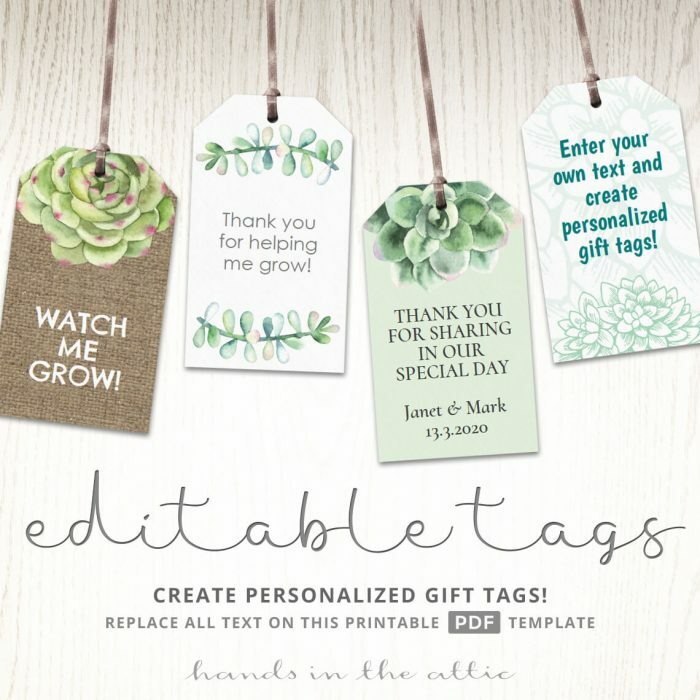 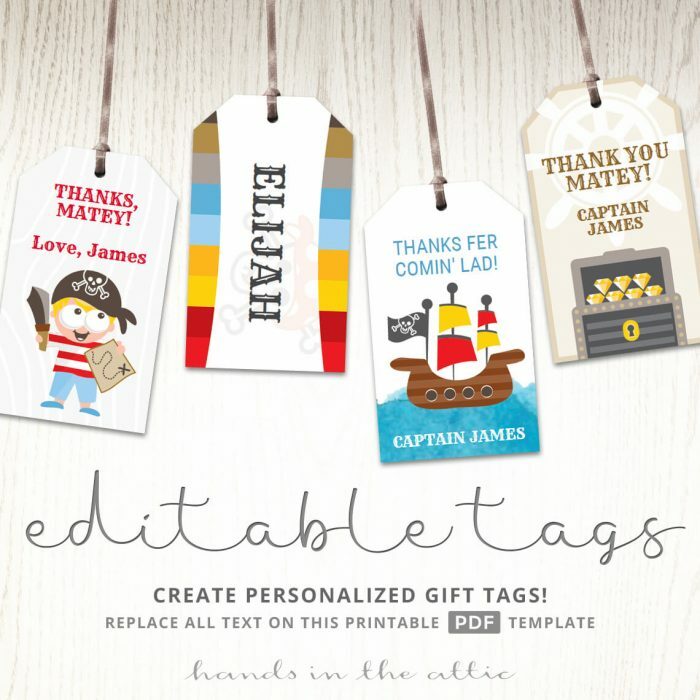 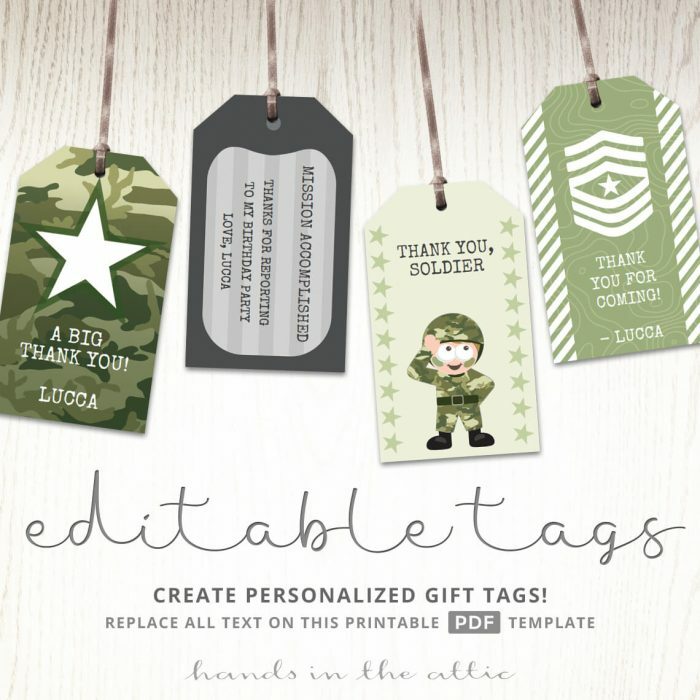 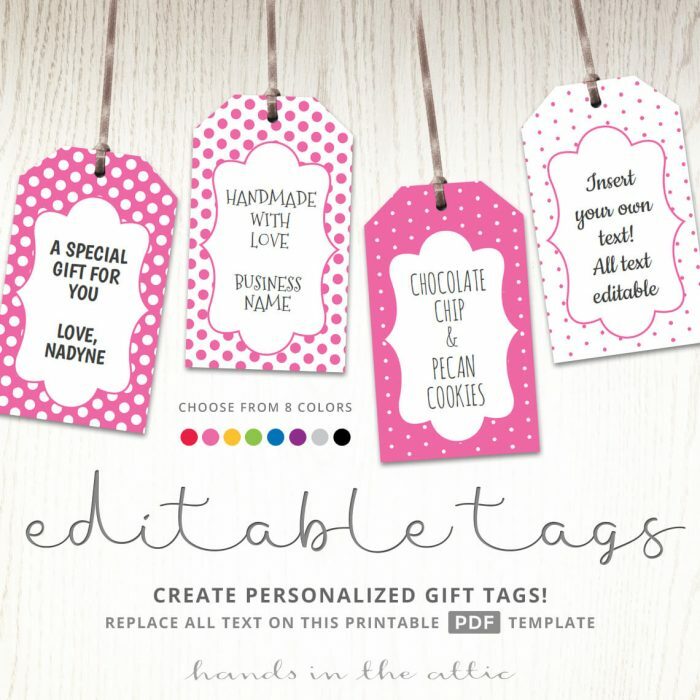 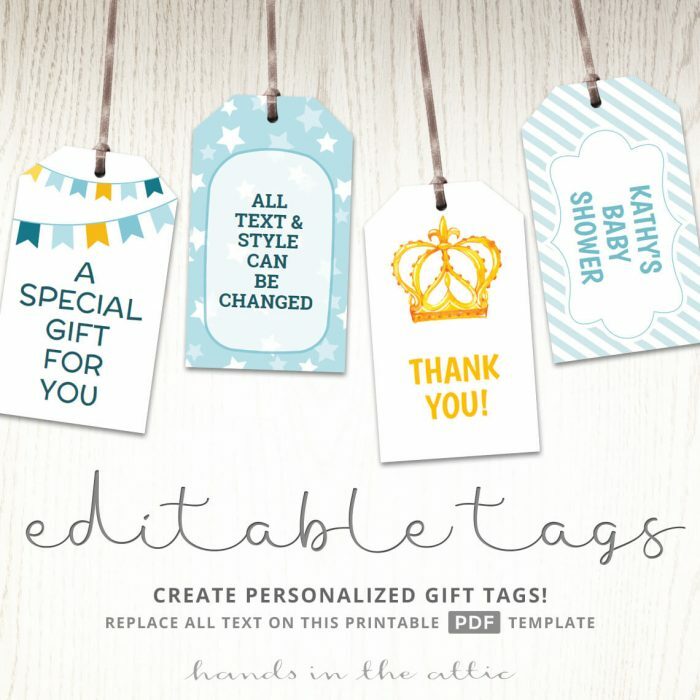 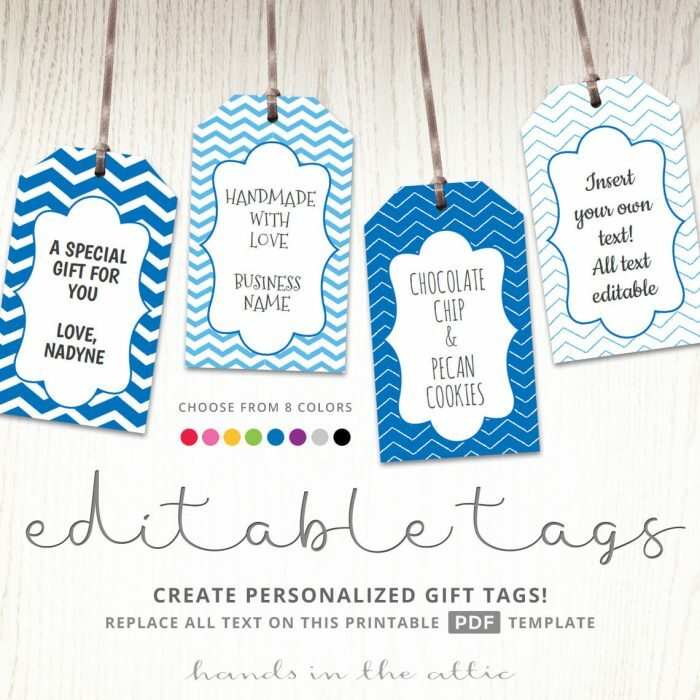 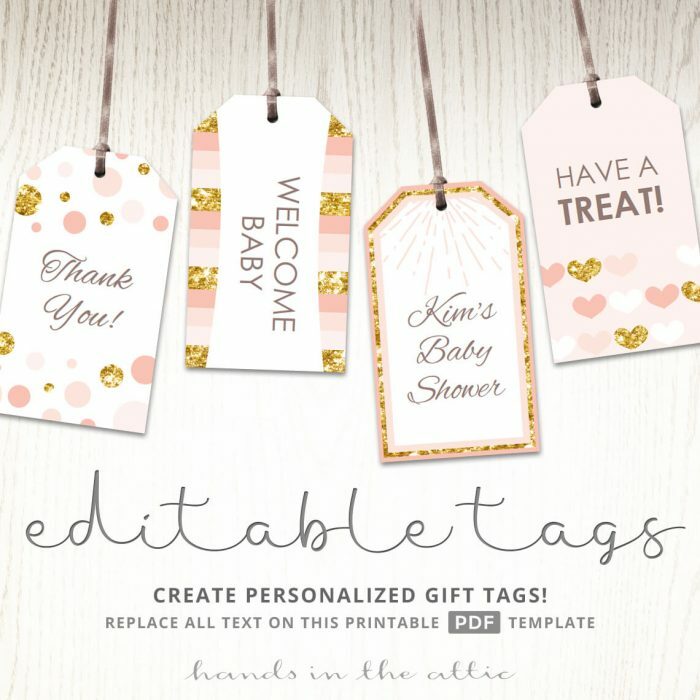 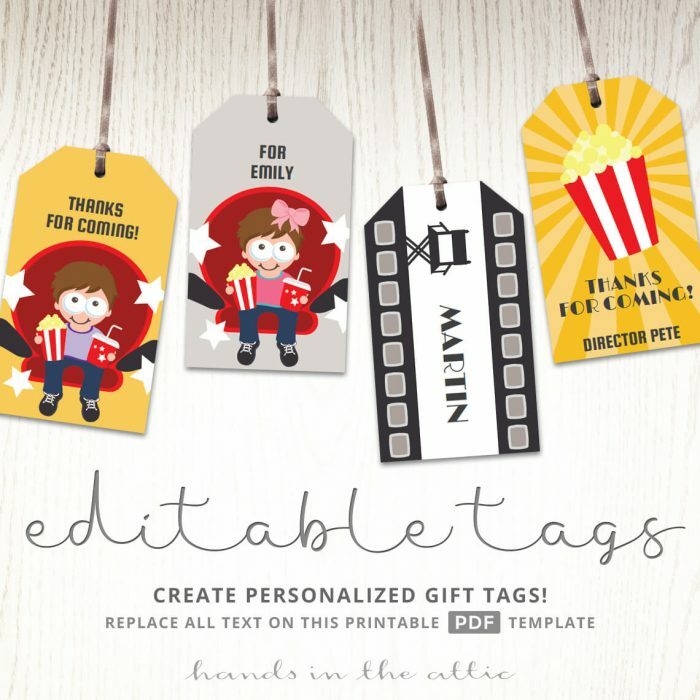 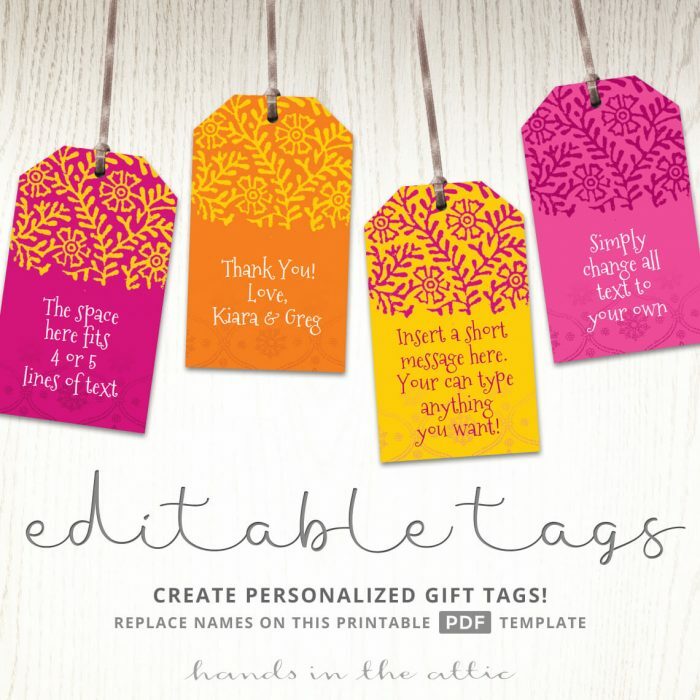 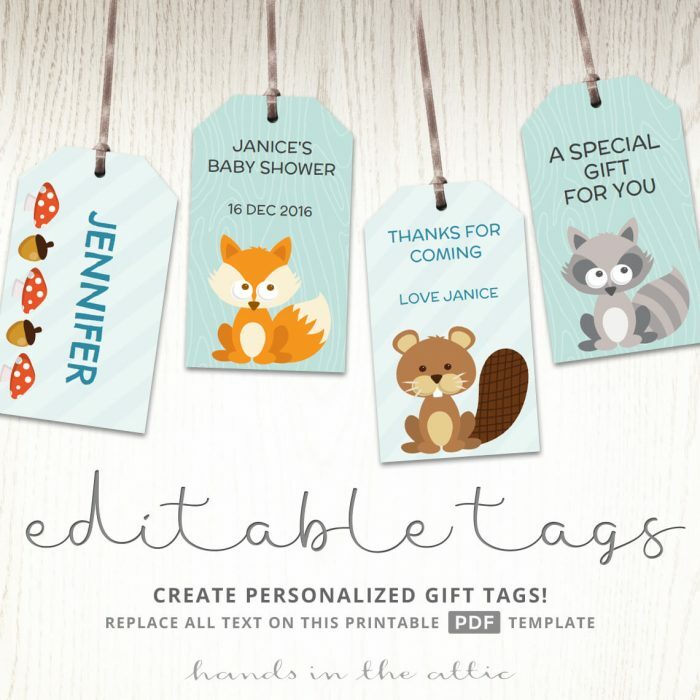 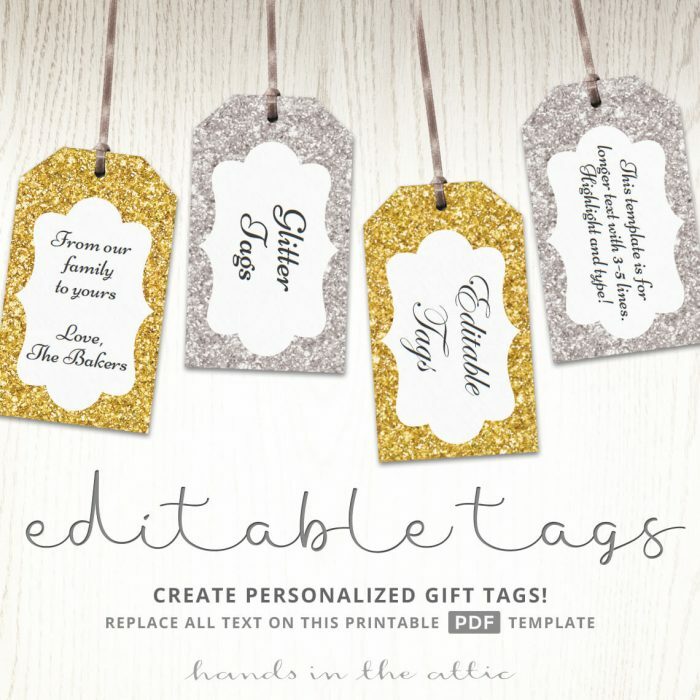 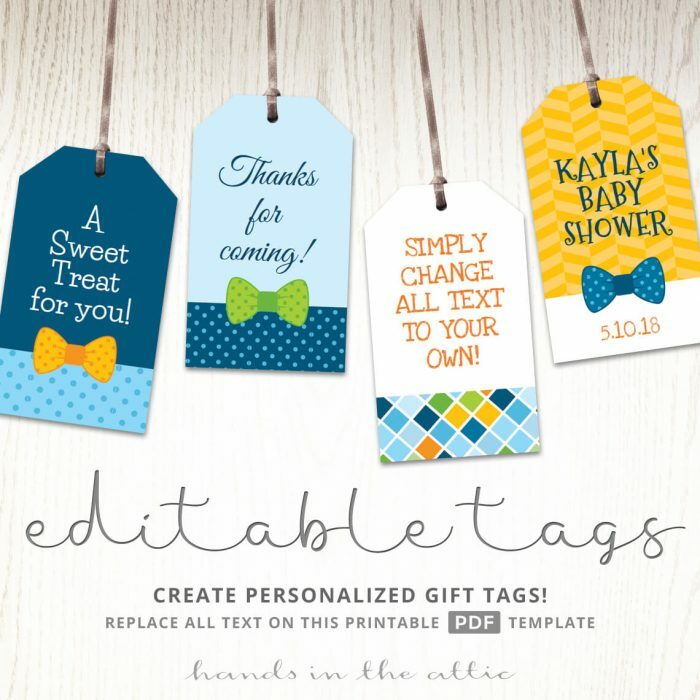 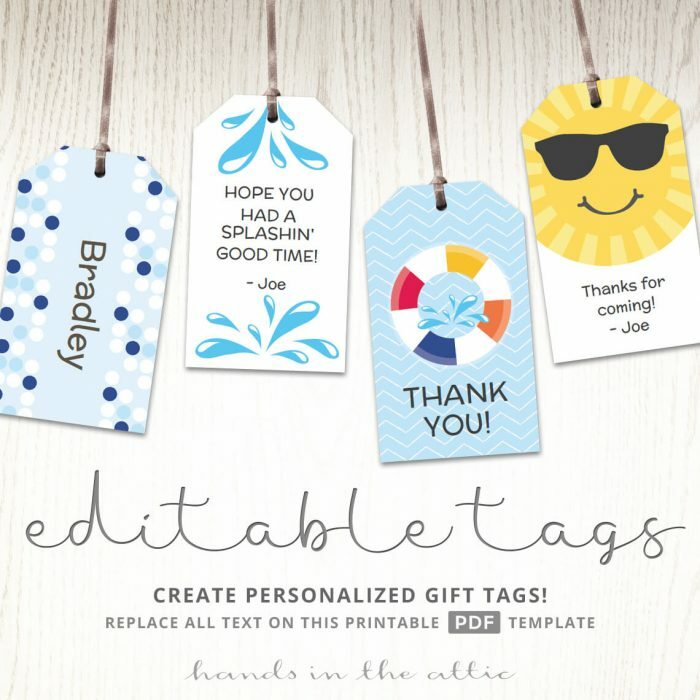 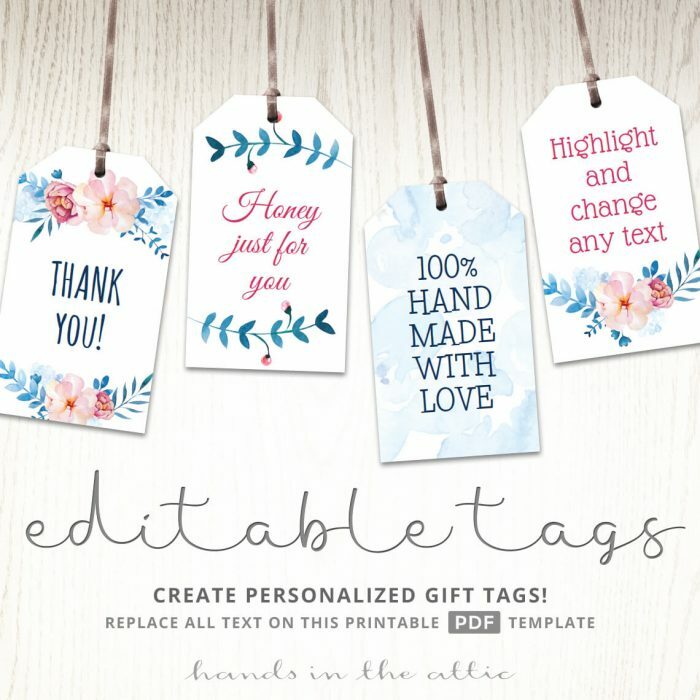 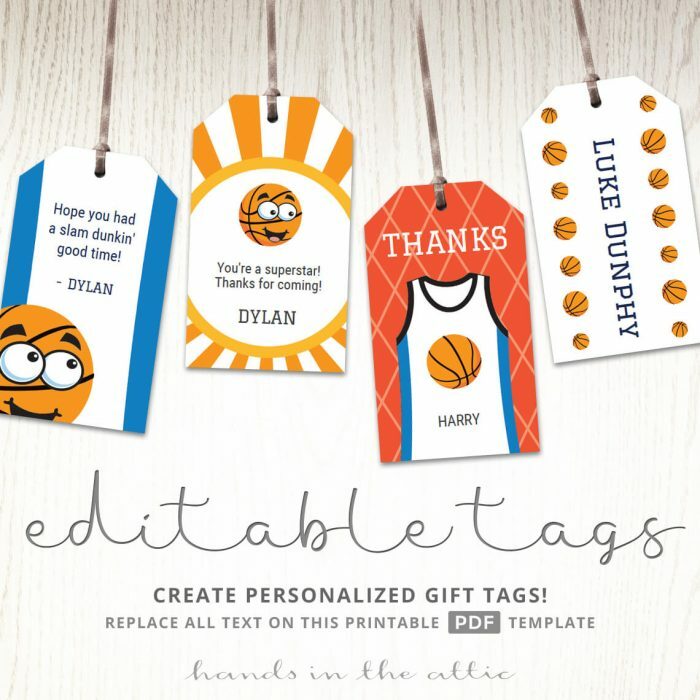 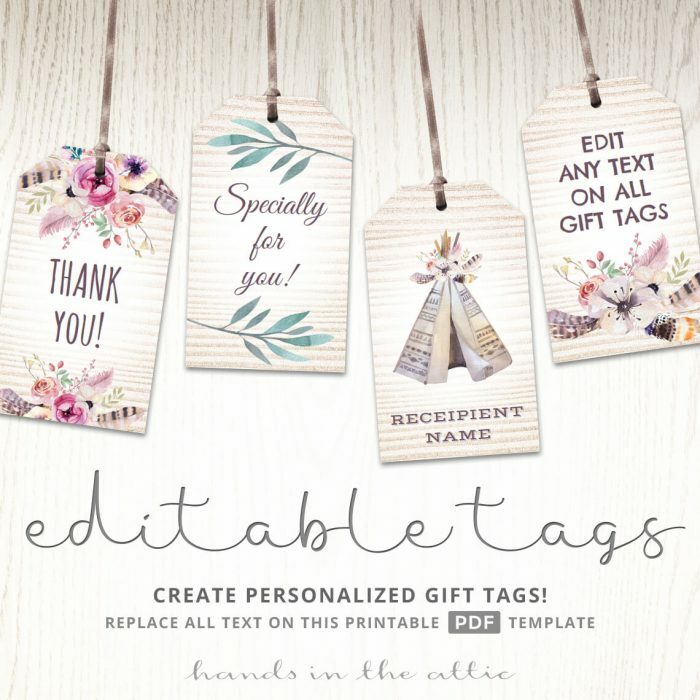 Create personalized gift tags and labels to tie around presents and favors. 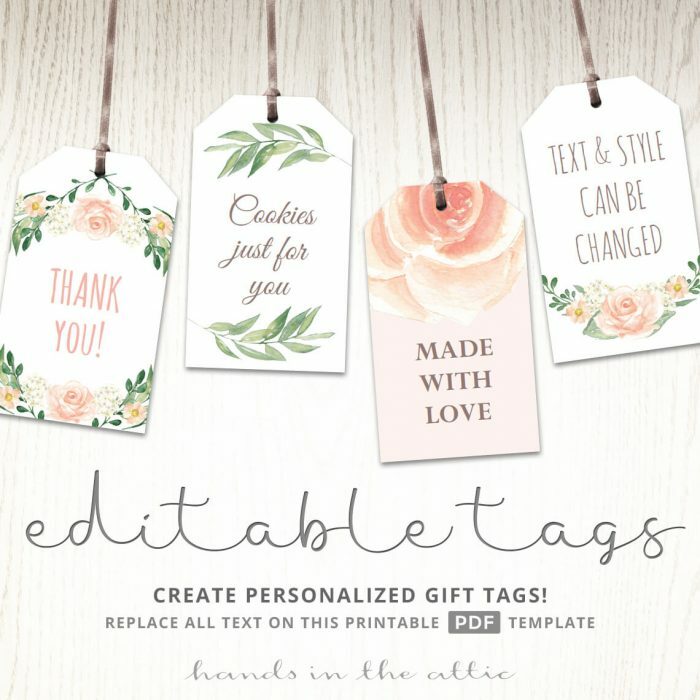 Using these templates, you can edit the text and make them unique for your event. 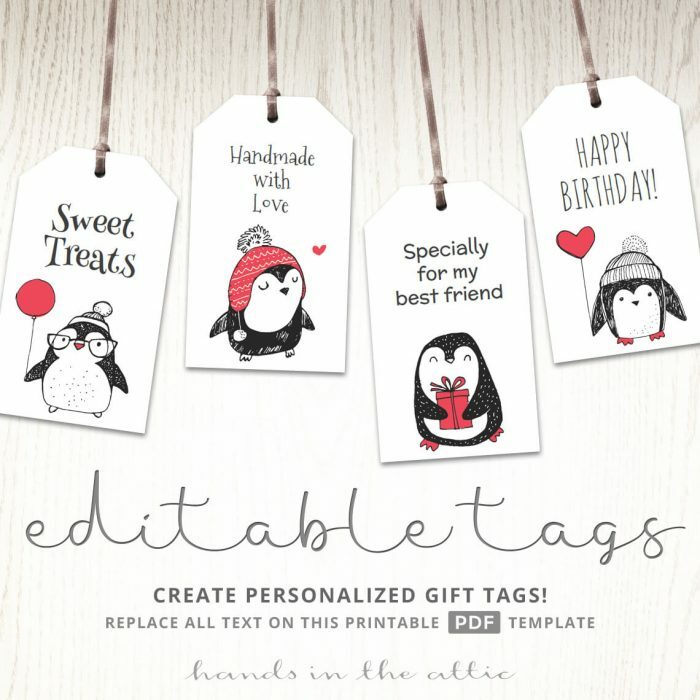 Simply open the template in Adobe Reader on a computer, and make the changes you need. 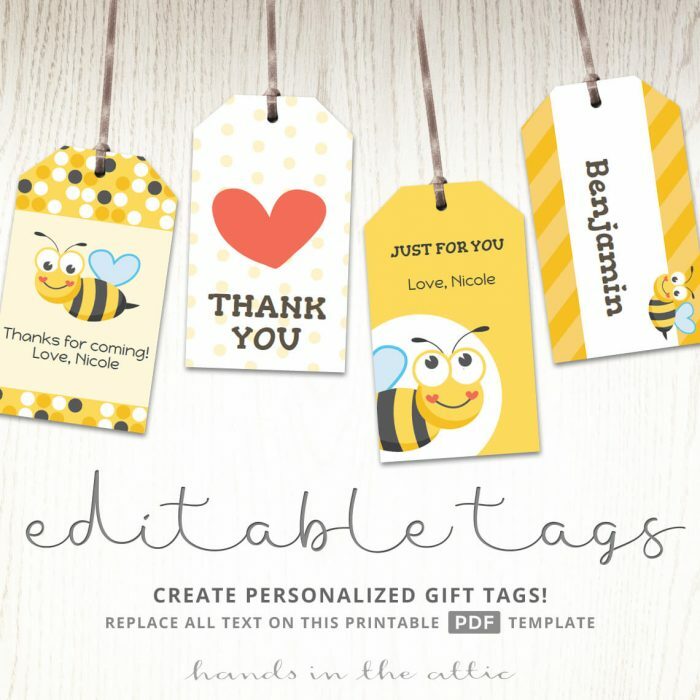 Save, and print as many as you need.